This is a Web site to collect, save, and share information about the Michigan Terminal System (MTS), the computer time-sharing operating system, and the organizations and people that developed and ran it. The documents, images, recollections, and comments that make up this Web site come from many sources. It is our hope that individuals will contribute many more. Overview: See the MTS Article on Wikipedia for a good overview of MTS, its architecture, and the sites that developed and ran it. Software: See the MTS Distributions section of this Web site for information on the availability of MTS software and to download MTS Distributions. E-Mail list: Announcements, news items, and updates related to MTS are sent to the e-mail group MTS-Interest@umich.edu a few times a year. If you would like to be added to the group, send a note to mts-comments@umich.edu. Web Site: This web site was created by Jeff Ogden and is administered by Jeff, Gavin Eadie, and Mike Alexander. The "official" URL to use to reach this site is: http://archive.michigan-terminal-system.org. Contribute: Anyone can view the contents of this archive, but only members of the Google Groups' group "# (Pound Sign)" can create and edit pages, upload documents and files, start discussions, and enter comments. To start, the group is only being used to control access to this archive site and not as an e-mail list. Anyone with a Google account may join this group. If you don't have a Google account, you can create one. They are free. If you just want to view items in the archive, you do not need to join. If you would like to contribute, click here to visit and join the group. Questions: Send questions and comments to mts-comments@umich.edu. U-M’s course registration process, traditionally held in Waterman Gymnasium (current site of the chemistry building), had evolved from handwritten, hand-processed forms to IBM punch cards by the late 1960s. However, the Office of the Registrar still needed to process the cards to create a final schedule. With U-M’s ever-growing student body, the resulting experience was inevitable: hours of waiting and a high degree of mistakes or conflicts that, in turn, cost even more time to correct. Reportedly, circa 1971, an average of 25 percent of all schedules bounced back due to changes in class times or sections filling up. In an effort to improve the system, U-M computer science professor Bernard Galler moved forward with the concept of a graduate course built on tackling real-world scenarios. In 1972, he challenged “Computer & Communication Studies 673” to fix U-M’s course registration problem. They aced their assignment, establishing the founding design principles and programming of the Computer Registration In Spite of Problems system (CRISP). Read the UM Alumnus article. Or read a longer article, "CRISP: An interactive student registration system" (pdf), by Bernie Galler and his students in Proceedings of the ACM annual conference, 1973. 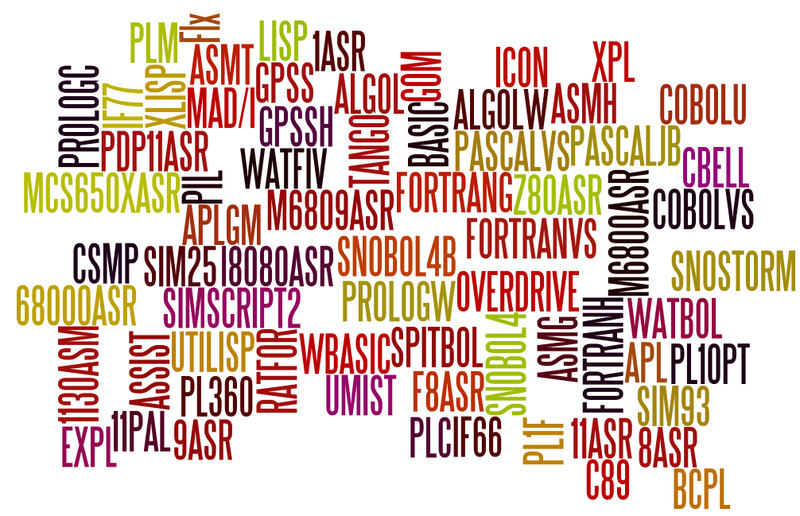 Over the last six months or so, entries for PIL, APL, Assembler G, and GPSS have been added to the Programming languages in MTS section of the "Try MTS" web site. They join the existing entries for BASIC, FORTRAN, MAD (GOM), ALGOL 60, ALGOL W, LISP, UTILISP, PL/1(F), SNOBOL, RATFOR, and FLECS as well as more general information on MTS including how to install, operate, and use it. 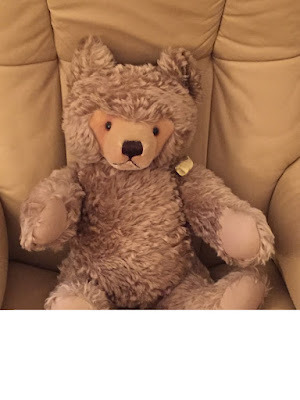 Follow this link for an introduction to Ursus Theodorus. Follow this link for more photographs of and about Ursus Theodorus. To see older news and update items, go to the News and Updates archive section of this web site.